Thanks to everyone who has sent in their data so far this year. 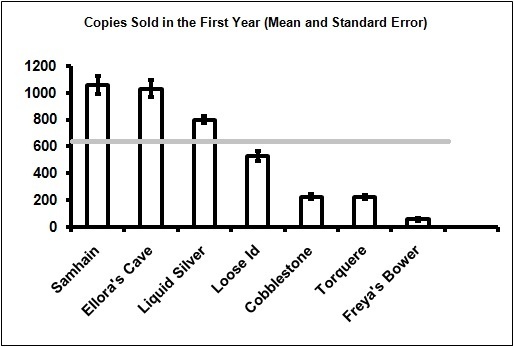 Here is an update on average copies sold in the first year, as a function of publisher. 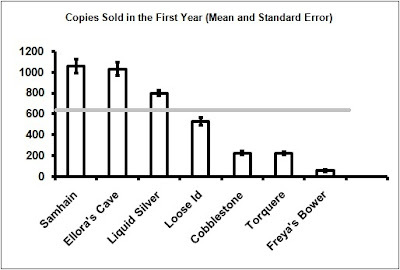 I have recently been able to add Liquid Silver Books to this graph. The gray line represents the average across all books in the data set.